The inverted yield curve is the bellwether for an economic recession. Here’s how it occurs and what you should know and do about it. The inverted yield curve is a graph that shows that younger (shorter) treasury bond yields are yielding more interest than older (longer) ones. And it’s terrifying for financial pundits all over the world. It’s a graph that could mean the difference between a thriving bull market or the downswing of a bear market. AND it’s been known to throw entire economies into a state of abject terror and chaos. While it might not seem like much at first glance, the inverted yield curve is actually the bellwether for an economic recession. You know, that thing that happened in 2008 that was kind of a huge deal? Luckily, the inverted yield curve is a rare occurrence … BUT it’s useful to know what it means and how to spot one when it happens. Why? Simple: You don’t want to get swept up in the herd mentality of one, and being able to recognize when it happens is the first step in preventing yourself from making bad decisions based on what everyone else is doing. So let’s take a look at the inverted yield curve, how it happens, and what it means for you and your finances. To understand what an inverted yield curve is, you must first understand one of the most basic financial asset classes out there: Bonds. A bond is like an IOU given to you by a bank. When you lend the bank money, they’ll give you back that same amount at a later time along with a fixed amount of interest. For example, if you bought a two-year bond for $100 with a 2% annual return on it, that means you’ll get $104.04 back after two years (this accounts for compounding). They’re an extremely stable investment. This is especially true when it comes to government bonds. The only way you can lose your money with them is if the government defaulted on its loans — which the U.S. government has never done. They’re guaranteed to have a return. This means that you’ll know exactly how much you’re getting on your ROI when you purchase a bond. Longer investments yield higher returns. The longer you’re willing to wait on your bond typically means that you’re going to have higher return rates. I say typically because there are exceptions to this (Hint: It has to do with what we’re talking about right now). And when people refer to inverted yield curves, they’re typically referring to the yields on U.S. Treasury bonds, or bonds guaranteed to investors by the U.S. government. BONUS: If you want even more information on investment basics, check out Ramit’s video on the hierarchy of investments. Don’t be thrown off by the potato quality of the video — the advice is timeless. A yield curve graph shows the returns of those bonds (i.e., the yield) based on maturity, or how old the bond is. The above is a normal yield curve. It shows that older bonds have higher interest rates and will yield more than younger ones. This occurs when the curve inverts or goes the other way. It shows that younger bonds (i.e., bonds that are two years or less) yield more in interest than older ones. This shows the lack of investor confidence in older bonds and is a good indicator that a recession is incoming (more on that soon). You can find the daily fund rate straight from the U.S. Department of Treasury itself here and chart it out here (you’ll need Flash). But a yield curve doesn’t invert on its own. Let’s take a look at a few elements that are needed for an inverted yield curve to occur. How does an inverted yield curve happen? Humans are more motivated by a fear of loss than anything else. This is a psychological phenomenon called “loss aversion.” When the possibility of loss comes up, we get scared. We remember the things we’ve lost more acutely than what we’ve gained (just ask any gambler). When we’re scared we tend to make weird decisions like selling off all of our investments due to a dip in the markets or splitting up the group in a haunted house so the murderer can pick you off one by one. When it comes to a recession, many investors will start to invest in long-term U.S. Treasury bonds as it approaches — since they know that the interest rates on other assets like stocks will soon drop. People who are not confident in the market will move more money into bonds. With more people investing in bonds, their return rate goes down. This is basic supply and demand. The less people want a bond, the more financial institutions like the Fed are going to make that bond appealing to investors. A great example of a yield curve inverting occurred before the 2008 housing market crisis in December 2005 — almost three years before the crash. The Fed raised the federal fund rate to 4.25% due to a number of factors. Mainly, they were aware that there was a growing price bubble within certain assets like housing, and they were concerned that low interest rates were causing this. So when the fund rate was raised to 4.25% in 2005, it caused the two-year U.S. Treasury bond to yield 4.4% while the longer term seven-year bond only yielded 4.39%. Soon the curve began to invert more and more as the recession began approaching and investors continued to invest more heavily into longer-term bonds. Eventually, the United States found itself thrown into a recession after the housing market crash roughly two years later. Note: The inverted yield curve wasn’t the cause of the recession but rather a symptom of it. Think of the inverted yield curve as a cough or fever in a greater sickness. The last seven recessions the country has seen were preceded by an inverted yield curve — and many experts agree that another inversion of the yield curve could be on its way. While the inverted yield curve is a great indication that there’s a recession and a subsequent bear market is on the way, what does that mean for you? What should a typical non–Wall Street, every-person do when you see a headline like this? In 2016 and 2017, the California state legislature passed a slew of reforms reducing regulations on accessory dwelling units (ADU) such as basement apartments, garage conversions and backyard cottages. The reforms address ADU parking requirements, the permitting process, design requirements, fees and more. The state sees ADUs as a small part of a broad effort to address its housing crisis as demand outpaces housing supply and housing costs rocket ever higher. It’s too early to see the impacts of the ADU reforms on the ground, but there’s already been a massive uptick in ADU permit applications in many California cities. In December, researchers at University of California Berkley’s Terner Center for Housing Innovation released a report looking at ADU applications from 2015 through 2017 to understand how the regulatory changes are spurring ADU construction. Los Angeles saw the most dramatic jump, from 90 applications in 2015 and 80 in 2016 to a whopping 1,970 applications as of November 2017. Oakland, which had 33 and 99 applications in 2015 and 2016, jumped to 247 in 2017. Long Beach had zero applications in 2015 and just one in 2016. In 2017, it had 42. San Francisco has been experimenting with looser ADU regulations since 2013, but still saw applications increase from 384 in 2016 to 593 in 2017. The legislation did several important things to encourage ADU construction. For one, it made ADUs legal in all California cities. It also established design standards that, when met, allow ADU development to receive “ministerial approval” instead of discretionary approval. In other words, ADU builders can apply for and receive construction permits over the counter at their city planning office, instead of seeking approval from a design commission or city council. When the proposed ADU is located within a half-mile of transit, is in a designated historic district, is attached to the existing unit and in several other instances, homeowners are not required to build an off-street parking space for the ADU. The 2016 legislation also creates a path for illegal ADUs to become official. In Los Angeles, for example, there may be as many as 50,000 unpermitted ADUs. ADUs are rarely used as subsidized affordable housing. But because of their size, cost of construction and the fact that they’re usually built by individual homeowners instead of development companies, ADUs are often rented at below market rate. Another Terner Center report from 2017 found that 58 percent of ADU owners rent their units at below-market rates. According to a recent New York Times report on California housing, more than half the land in both San Francisco and Los Angeles is filled by neighborhoods in which 90 percent of the housing is single family homes. Most California cities have similarly prevalent single-family zoning. ADUs could greatly increase the housing stock in those zones. Though there are fewer barriers to ADU construction now, Garcia and Cohen still want to see future reforms. They say size and setback requirements for detached ADUs need to be clarified. Because the rules are still “fuzzy,” Cohen says it can still be difficult for builders to get that over-the-counter approval. In some cities, detached ADUs are still subject to many of the same fees as a much larger, single family home, such as impact fees, utility fees and school district fees. Garcia says adjusting fees and building codes to account for the fact that ADUs are far smaller and often have fewer people living in them than typical single-family homes will further bolster the ADU boom. Finally, Garcia wants to see a change to owner-occupancy rules. 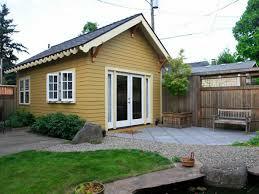 Currently, California requires homeowners to live on site in the main dwelling in order to build an ADU. He points out that there are many single-family homes on the rental market already on lots that could also house an ADU. But under current law they cannot. According to the Terner Center report, it takes 18 months or less to take the majority of ADUs from design to completion. Though some cities such as San Francisco that loosened ADU regulations before the state are already seeing the uptick in finished ADUs, the wave of new units spurred on by the change in state law should begin midway through 2018. Here is a simple version of how mortgage rates are closely tied to the movement of the 10-year Treasury. Hope you find it informative. Interest rates are at their lowest when the 10-year Treasury yield is at its lowest. We saw mortgage rates at their lowest point on July 8, 2016 when Great Britain voted to leave the European Union. The 10-year Yield hit 1.37%. The yield rebounded after Donald Trump won the 2016 presidential election. Investors felt his tax cuts would create jobs and boost the economy. That's when investors switch to stocks and real estate investments. By the end of December, 2016, the 10-year Treasury yield rate climbed to 2.45 percent. U.S. Treasury bills, bonds and notes directly affect the interest rates on fixed-rate mortgages. How? When Treasury yields rise, so do interest rates. That's because investors who want a steady and safe return compare interest rates of all fixed-income products. They compare yields on short-term Treasury’s to certificates of deposit and money market funds. While, they compare yields on long-term Treasury’s to home loans and corporate bonds. All bond yields are affected by Treasury yields since they compete for the same type of investor as the stock market. Treasury notes are safer than any other bonds because the U.S. government guarantees them. CDs and money market funds are slightly riskier since they aren't guaranteed. To compensate for the higher risk, they offer a higher interest rate. But they are safer than any non-government bond because they are short-term. Businesses typically store their cash in money market funds overnight. It gives them a safe place to park their excess funds for a little bit of a return. That's why the precursor to the 2008 financial crisis was September 15, 2008. That was the day a money market fund almost went broke. Mortgages offer a higher return for more risk. Investors purchase securities backed by the value of the home loans. These are called mortgage-backed securities. When Treasury yields rise, banks charge higher interest rates for mortgages. Investors in mortgage-backed securities then demand higher rates. They want compensation for the greater risk. Those who want even higher returns purchase corporate bonds. Rating agencies like Standard and Poor's grade companies and their bonds on the level of risk. The U.S. Treasury Department sells bills, notes and bonds to pay for the U.S. debt. It issues notes in terms of two, three, five and 10 years. Bonds are issued in terms of 30 years. Bills are issued in terms of one year or less. People also refer to any Treasury security as bonds, Treasury products or Treasury’s. The 10-year note is the most popular product. The Treasury sells bonds at auction. It sets a fixed face value and interest rate for each bond. If there is a lot of demand for Treasury’s, they will go to the highest bidder at a price above the face value. That's because the bidder has to pay more to receive the stated interest rate. If there is not a lot of demand, the bidders will pay less than the face value. That increases the yield. The bidder pays less to receive the stated interest rate. The yield is higher in this case, so it can attract more investors to buying Treasury bonds. That is why yields always move in the opposite direction of Treasury prices. Treasury note yields change every day. That's because investors resell them on the secondary market. When there's not much demand, then bond prices drop. Yields increase to compensate. That makes it more expensive to buy a home because mortgage interest rates move in the same direction as Treasury yields. Buyers have to pay more for their mortgage. Low yields on Treasury’s mean lower rates on mortgages. Homebuyers can afford a larger home with the same income. The increased demand stimulates the real estate market. That boosts the economy. Lower rates also allow homeowners to afford a second mortgage. They'll use that money for home improvements, or to purchase more consumer products. Both stimulate the economy. On July 8, 2016, the yield on the 10-year Treasury note briefly dropped during intraday trading to 1.37 percent, the lowest in maybe 200 years. In a couple of days, the rate started to move a bit higher. Another similar situation occurred between July 23-25, 2015. Many of our clients were able to take advantage of buying or refinancing during these two times into very attractive rates. Why was the yield so low? Investors panicked when the jobs report come in lower than expected. They also worried about the eurozone debt crisis. They sold stocks, driving the Dow down 275 points. They put their cash into the only safe haven, U.S. Treasury notes. Gold, the safe haven in 2011, was down thanks to lower economic growth in China and the other emerging market countries. Investors still hadn't recovered their confidence from the stock market crash of 2008. Also, they were uneasy that the federal government would allow the economy to fall off the fiscal cliff. Add in the uncertainty around a presidential election year, and you had a situation that you hope will never occur for another 200 years. The yield rose as high as 2.90 percent between May and September 2013. The yield started rising after the Fed announced it would taper its purchases of Treasury’s and other securities. The Fed had been buying $85 billion a month since September 2011. This was part of its quantitative easing program. This was an artificial way of keeping the demand for Treasury bonds strong and allow for the yields to stay low to help the U.S. economy to recover. The Quantitative Easing also kept mortgage rates very low to encourage home buying as Real Estate plays a pivotal role in the economy. 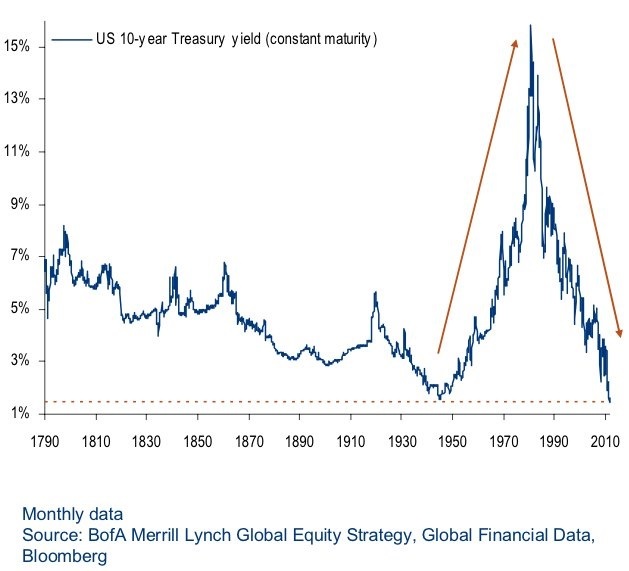 Below is a historical graph of the 10-year Treasury Yield from 1790. The yield on 10-year Treasurys jumped back above 3% early Wednesday in New York as traders sold the benchmark note ahead of an auction of $25 billion in long-dated government paper. Government debt also came under selling pressure as assets perceived as risky, like stocks, saw a pickup in demand, which can undercut appetite for assets perceived as havens like bonds. The trading action came as Wall Street investors absorbed President Donald Trump’s decision to pull the U.S. out of the Iran nuclear deal and the possible knock-on effects the exit could have on the broader market and economy. The 10-year Treasury note yield TMUBMUSD10Y, +0.57% climbed 4.3 basis points to 3.008%, reclaiming the 3% level. On April 25, the benchmark yield rose above 3% for the first time since December 2013, but has since struggled to stay above that handle. The 30-year bond yield TMUBMUSD30Y, +0.53% rose 3.8 basis point to 3.161%, while the 2-year note yield TMUBMUSD02Y, +0.66% was up 0.4 basis points to 2.526%. Investors were selling U.S. government bonds as investors positioned themselves ahead of an auction of $25 billion in 10-year notes at 1 p.m. Eastern Time on Wednesday. That sale comes just a day ahead of $17 billion auction of 30-year bonds set for Thursday. Additionally, traders were digesting Trump’s move on Tuesday to withdraw the U.S. from the Iran nuclear deal and announce plans to reimpose sanctions on the Middle Eastern country. The decision sparked a rally in crude-oil prices, as fresh sanctions are expected to curb Iran’s oil exports and lead to tighter global supply. The rapidly rising oil prices could boost U.S. inflation and add pressure on the Fed to hike rates more aggressively. Crude oil CLM8, +2.87% jumped 2.6% to $70.82 on Wednesday, trading around its highest level since November 2014. Wall Street has priced in a near-certain likelihood of a rate increase at the conclusion of the Fed’s two-day meeting ending June 13, according to CME Group data. The dollar “continued drifting north in the aftermath of the [Iran] decision, while the U.S. 10-year treasury yields rose to just a tick below the key psychological zone 3%. Once again, this might be due to concerns over inflationary pressures resulting from rising oil prices,” said Charalambos Pissouros, senior market analyst at JFD Brokers, in a note. “Expectations of inflation rising faster than previously anticipated mean expectations of faster rate hikes by the Fed. Indeed, according to the Fed funds futures, the probability for the Fed to end the year with a total of 4 hikes has risen to 42% from 39% yesterday morning,” he added. What else is on investors’ radar? The producer-price index for April is slated for release at 8:30 a.m. Eastern Time followed by wholesale inventories numbers from March at 10 a.m.
Atlanta Federal Reserve President Raphael Bostic is expected to give a speech on the economy and policy outlook the River Club in Jacksonville, Fla., at 1:15 p.m.
Freddie Mac announced today that, going forward, not every application for a purchase mortgage will necessarily trigger an appraisal. A new automated alternative to traditional appraisals, which the company introduced for refinances in June, will soon be available for purchase mortgages. It may save borrowers in some instances as much as $500, and reduce their wait to close a loan by seven to ten days. Freddie Mac's automated collateral evaluation (ACE) uses a proprietary model to assesses the need for an appraisal by using data from multiple listing services, public records, and information on historical home values to determine collateral risks. Lenders must submit loan data through Freddie Mac's Loan Product Advisor to determine if a property is eligible for ACE. ACE will be available for qualified home purchases beginning on Sept. 1, 2017. "By leveraging big data and advanced analytics, as well as 40+ years of historical data, we're cutting costs and speeding up the closing process for borrowers," said David Lowman, executive vice president of Freddie Mac's Single-Family Business. "At the same time, we're providing immediate collateral representation and warranty relief to lenders. This is just one example of how we are reimagining the mortgage process to create a better experience for consumers and lenders." If ACE determines that the estimated value of the home provided by the lender is acceptable, the lender may receive immediate representation and warranty relief related to the value, condition and marketability of the property upon delivery of the loan to Freddie Mac. "When we launched Loan Advisor Suite in July 2016, we set out to give our customers certainty, usability, reliability and efficiency," said Andy Higginbotham, senior vice president of strategic delivery and operations for Freddie Mac's Single-Family Business. "ACE is our most recent capability to deliver on that vision." Mortgage rates fell yesterday in response to a tweet about president Trump disbanding his councils of CEOs. Twitter was in play again yesterday. This time around it was Gary Cohn, Trump's economic advisor. Rather, it was rumors of Cohn's departure that sent financial markets into a tail-spin. Terror attacks in Spain may have played a supporting role. The net effect was heavy losses for stocks and solid gains for bonds. Markets opened down this morning as well. When bonds improve, rates fall. The 10-Year Treasury Yield which is an important gauge for mortgage rates dropped this morning to 2.19%. This is only the second time since the elections we have experienced the 10-year Treasury bond drop below 2.2%. It also happened in June, 2017. It reached as high as 2.6% in mid-March 2017. Mortgage rates dropped today after news broke (first rumors, then confirmation via Twitter) that President Trump was disbanding his councils of CEOs. The move apparently came in response to attrition among several CEOs following Trump's press conference on recent events in Charlottesville, VA. In not so many words, Trump disbanded the councils before any more CEOs had a chance to quit. Political turmoil--especially that which appears "anti-business" in any way--always runs the risk of hurting stocks and helping bonds. That's exactly what happened today. "Helping bonds" in this context means higher demand for bonds among investors. Excess demand for bonds pushes rates lower. The market reaction to the Trump news overshadowed what was set to be the day's big-ticket event up to that point--the release of the Minutes from the most recent Fed meeting. The Minutes ended up being fairly tame--especially for those who'd tuned in to most of the recent Fed speeches (which, over the past 3 weeks, have largely reiterated views stated in today's Minutes). In other words, the Fed Minutes were old news, and they did nothing to stop the positive moves in bonds. Rates ended the day back at 2017's lows, but only after a throng of mid-day price improvements from mortgage lenders. The average lender is right in line with last week's best levels. Mortgage rates continued higher today as markets reacted to news that North Korea would tactically abstain from launching a nuclear attack on Guam. Markets took solace in the absence of global nuclear war by buying stocks and selling bonds. Buying stocks and therefor selling pressure in bonds pushes rates higher. Strong economic data in the morning only added to bond market weakness by shifting investors towards the stock market. Fortunately, movement in rates continues to be rather flat by historical standards. Most consumers would still be seeing the same rates quoted today that were available last Friday (which were the lowest since November 2016). 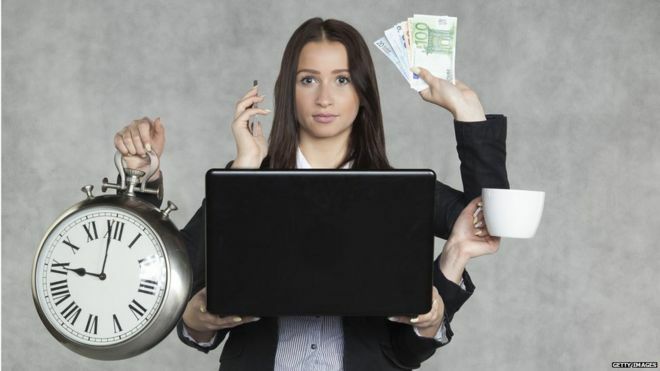 Using money to free-up time is linked to increased happiness, a study says. In an experiment, individuals reported greater happiness if they used £30 ($40) to save time - such as by paying for chores to be done - rather than spending the money on material goods. Psychologists say stress over lack of time causes lower well-being and contributes to anxiety and insomnia. Yet, they say even the very wealthy are often reluctant to pay people to do the jobs they dislike. "In a series of surveys we find that people who spend money to buy themselves more free time are happier - that is they have higher life satisfaction," said Dr Elizabeth Dunn, a psychologist professor at the University of British Columbia, Canada. Rising incomes in many countries has led to a new phenomenon. From Germany to the US, people report "time famine", where they get stressed over the daily demands on their time. Psychologists in the US, Canada and the Netherlands set out to test whether money can increase happiness levels by freeing up time. More than 6,000 adults in the US, Canada, Denmark and the Netherlands, including 800 millionaires, were asked questions about how much money they spent on buying time. The researchers found that fewer than a third of individuals spent money to buy themselves time each month. Those who did reported greater life satisfaction than the others. The researchers then devised a two-week experiment among 60 working adults in Vancouver, Canada. On one weekend, participants were asked to spend £30 ($40) on a purchase that would save them time. They did things like buying lunches to be delivered to work, paying neighbourhood children to run errands for them, or paying for cleaning services. On the other weekend, they were told to spend the windfall on material goods. Material purchases included wine, clothes and books. The research, published in the journal, Proceedings of the National Academy of Sciences, found time saving compared with material purchases increased happiness by reducing feelings of time stress. "Money can in fact buy time. And it buys time pretty effectively," said Prof Dunn, who worked with colleagues at Harvard Business School, Maastricht University and Vrije Universiteit Amsterdam. The psychologists say the study may help those who feel obliged to do a "second shift" of household chores when they come home from work. "I think our work perhaps provides an escape route out of the second shift," Prof Dunn added. Past research has found that people who prioritise time over money tend to be happier than people who prioritise money over time. Latest update to Fannie Mae underwriting guideline and DU 10.1 release. "Based on an analysis of recent loan casefiles submitted to DU, the new risk assessment is expected to increase the percentage of Approve/Eligible recommendations lenders receive, specifically those with debt-to-income ratios between 45% and 50%." DU will consider applications with a maximum DTI of 50%, and will no longer require compensating factors for DTIs above 45% and up to 50%. Timeshare Accounts: DU will treat timeshares as installment loans rather than mortgage debt. Student Loan Clarifications: Fannie Mae will permit the use of a $0 payment for student loans with appropriate documentation. Mortgages Paid by Others: The monthly mortgage payment may be excluded from the calculation of the DTI ratio if the party making the payments is obligated on the mortgage debt and can document the most recent 12-month payment history with no delinquencies. Disputed Tradelines: The new DU version will include updated risk assessment and messaging for borrowers with disputed tradelines. These changes (DU 10.1 which was released in July 2017) will allow more people to qualify for larger loan amounts while it makes the process a little easier. The latest on the Government $700 billion bailout. Paulson calls for swift action for $700 Billion Financial System Bail Out. Narbik Karamian comments to San Jose Mercury Newspaper about interest rates. The effect of the Government takeover of Fannie Mae and Freddie Mac in the Bay Area. 7-20-2017- Mortgage Rates Hold 3-Week Lows After European Central Bank Announces the ECB's bond buying program For The Time Being Will Remain Capped At €60 Billion Per Month And Its Interest Rates — a deposit rate of -0.4% for banks, and a base interest rate of 0.0% will be maintained and unchanged. Bond yields are going to surge! Eventually? The First Detailed Study of What A U.S. Federal Debt Default Would Look Like By The Numbers. A Brief History of the Modern Mortgage Market. Narbik Karamian Among Other Silicon Valley Leaders Offer Holiday Wish List. The Latest Update on The "First Time Home Buyer Tax Credit"
Narbik Karamian Comments on "Santa Clara County Home Sales" in the San Jose Mercury News. Governemt Homebuyer $8000 Tax Credit Can Be Ued Towards Closing Costs For FHA Transactions. HR 1 signed into law today also increases the Jumbo Conforming Loan Limits to $729,500 again. Narbik Karamian As Guest At Round Table Forum on President Obama's Comment "The Perfect Economic Storm"
We announced the interest rate drop 2 days prior to reading about it the NEWS. Possible 4.75% Interest Rate For Home Buyers.